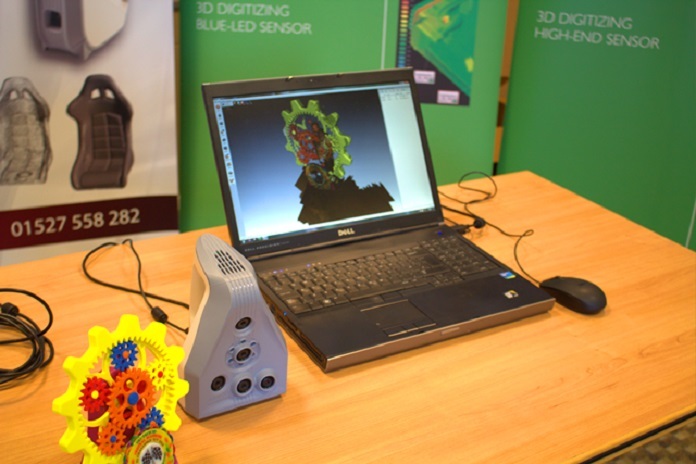 Central Scanning will be bringing Artec handheld scanners Spider and Eva to Leeds in early May to demo their capabilities at a workshop held through the 3D Print & Scanning Roadshow. Spider and Eva are truly mobile and easy-to-use scanning solutions, which capture even the sharpest edges and very tiny parts of small and medium-sized objects to produce high-quality images. Alongside the Artec scanners the Central Scanning team will be showcasing Scan Reference, which is a portable 3D measuring tool that uses a high resolution digital camera for data collection. Scan Reference further increases the accuracy of Artec scanners when working with larger objects, enabling Artec 3D data to be accurately aligned over the entire volume scanned. It also allows for featureless parts to be scanned easily. The roadshow is designed to demonstrate the flexibility and need in the market for 3D scanning and printing. The morning will consist of live demonstrations of the technology, offering visitors a chance to get up close and personal with the high-tech equipment, learn how it could benefit their business, and ask experts any questions they may have. When: May 8, from 09:00 to 12:30 (BST).